Culex (Melanoconion) pilosus (Dyar and Knab 1906) is a small, dark mosquito that tends to feed on reptiles and amphibians. It is found in the southeastern United States and many countries in Central America and South America. It has not been identified as a species of medical importance as it has not been shown to vector pathogens like some other Culex species. Figure 1. Adult female Culex (Melanoconion) pilosus, a mosquito. Photograph by Michelle Cutwa-Francis, University of Florida. Culex pilosus is recorded from Argentina, Bahamas, Belize, Bolivia, Brazil, Colombia, Costa Rica, Cuba, Dominican Republic, Ecuador, El Salvador, French Guiana, Guatemala, Honduras, Jamaica, Mexico, Nicaragua, Panama, Paraguay, Peru, Puerto Rico, Suriname, Trinidad and Tobago, United States, Venezuela and Virgin Islands (WRBU 2012). In the United States, Culex pilosus has been reported in many southeastern states including Alabama, Florida, Georgia, Louisiana, Mississippi, North Carolina and South Carolina (Roth 1943) and is distributed throughout Florida (Branch et al. 1958). The species is also reported from Kentucky, as well as the eastern tip of Texas (Darsie and Ward 2005). Figure 2. 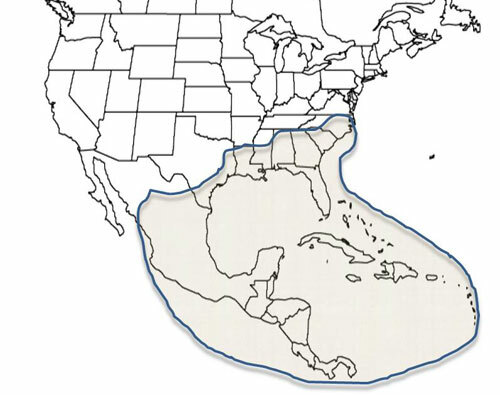 Distribution of Culex pilosus as of March 2012. Graphic by C. Roxanne Connelly, University of Florida, Entomology and Nematology Department. Adults: Culex mosquitoes tend to have relatively blunt-shaped posterior abdomens compared to other mosquito genera and are small and delicate (Marshall 2006). Female mosquitoes of the subgenus Melanoconion can be identified based on two unique features: 1) the thorax possesses a scutum lacking acrostichal setae, and 2) the head has broad, flat scales posterior to the compound eyes (at least along the ocular line) (Darsie and Ward 2005). The male mosquitoes in the subgenus Melanoconion can be extremely difficult to identify to species, and an analysis of the genitalia is often necessary (Roth 1943). Positive identification of Culex pilosus females can be accomplished by observing only three teeth on the cibarial armature (a series of specialized spicules, cibarial teeth, borne on a transverse ridge) (Michener 1944). Both sexes of Culex pilosus have dark short palps and a long dark proboscis, dark abdomen with somewhat reflective bronze or blue-green scales, dark thorax with a lighter patch on the dorsal portion of the mesepimeron, narrow and dark wing scales, and dark legs (Cutwa and O'Meara 2012). Eggs: Culex pilosus females will lay their eggs near ponds or rainwater seepage areas and ditches which may or may not contain vegetation (Putnam 2011). Unlike other Culex eggs, Culex pilosus eggs lack a corolla (collar) at the anterior end of the egg (Mattingly 1976). 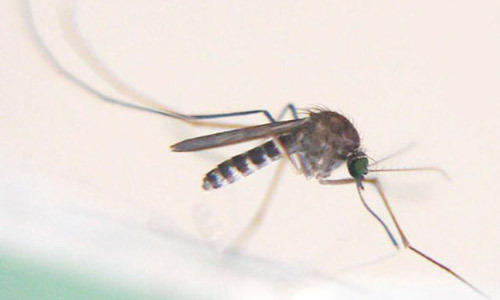 Another unique feature of this mosquito is that Culex pilosus lays eggs singly, or individually, or sometimes in single-layer patches, but not in rafts like many other Culex species mosquitoes. The eggs are placed just above the water line and are viable for one month in moist conditions (Galindo et al. 1951). Larvae: The larvae of Culex pilosus have a broad head and long antennae with a large tuft at the ends. On the ventral side of the larval head, an oval gill is inserted at the base of the antennae (Carpenter and LaCasse 1955). They have an upcurved siphon and a curved preapical spine at the end of the siphon. There are eight pairs of long tufts of setae on the siphon, comb scales on the eighth abdominal segment in a single row that appear long and pointed, and gills of two different lengths (Cutwa and O'Meara 2012). Figure 3. 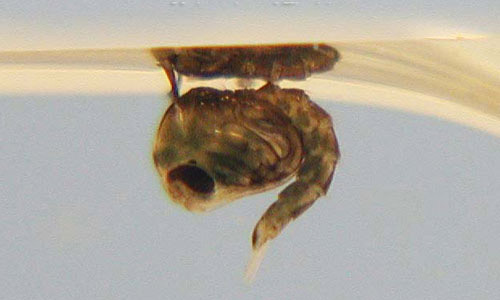 Larva of Culex (Melanoconion) pilosus, a mosquito. Photograph by Michelle Cutwa-Francis, University of Florida. Pupae: As with other mosquitoes, the pupae have two major body parts, a cephalothorax and abdomen. A pair of trumpets containing breathing spiracles is present on the cephalothorax. Culex pilosus pupae have abdominal segments with distinctive setae patterns; the second segment's most medial seta possesses 14 or fewer branches (Darsie and Day 2003). The pupal trumpet on the cephalothorax, which tapers gradually, is about four times as long as the width of the trumpet at the tip, and the pinnae are about one-third the length of the trumpet (Foote 1954). Figure 4. Pupa of Culex (Melanoconion) pilosus, a mosquito. Photograph by Michelle Cutwa-Francis, University of Florida. Culex pilosus adults tend to rest inside forests or woodlands during the day, but then fly over open land during the night to a different habitat in which they feed, only to return to their daytime habitat again in the morning (Clements 1999). The flight patterns of adult Culex pilosus are not influenced by wind direction, which is unique among mosquitoes because many species tend to fly upwind (Clements 1999). Culex pilosus feeds mainly on reptiles and amphibians (Edman 1979, Clements 1999). Although many Culex species transmit viruses that cause encephalitis, Culex pilosus is currently not considered to be an important vector of human pathogens. However, as Culex pilosus feeds on various hosts, it may prove to play a secondary role in the transmission of some pathogens. Culex pilosus is not a mosquito of particular concern in terms of management as it does not generally reach pest levels. Branch N, Logan L, Beck EC, Mulrennan JA. 1958. New distributional records for Florida mosquitoes. The Florida Entomologist 41: 155-163. Carpenter SJ, LaCasse WJ. 1955. Mosquitoes of North America (North of Mexico). University of California Press, Berkeley. 361 pp. Clements AN. 1999. The Biology of Mosquitoes: Sensory Reception and Behaviour, Vol 2. CABI Publishing, Oxon, UK. 740 pp. Darsie Jr. RF, Day JF. 2003. Studies of the Genus Culex Linnaeus in Florida. I. Redescription of the pupae of Culex nigripalpus Theobald and Cx. tarsalis Coquillett, vectors of St. Louis encephalitis, and a key to pupae of Culex species in the eastern United States (Diptera: Culicidae). Proceedings of the Entomological Society of Washington 105: 100-107. Darsie Jr. RF, Ward RA. 2005. Identification and Geographical Distribution of the Mosquitoes of North America, North of Mexico. University Press of Florida, Gainesville, FL. 383 pp. Edman JD. 1979. 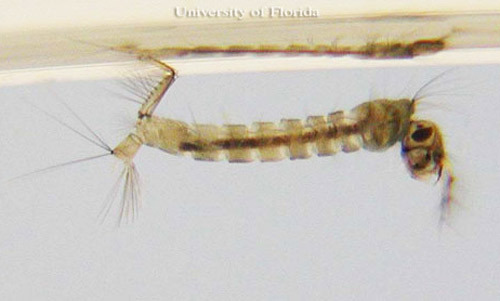 Host-feeding patterns of Florida mosquitoes (Diptera: Culicidae) VI. Culex (Melanoconion). Journal of Medical Entomology 15: 521-525. Foote RH. 1954. The Larvae and Pupae of the Mosquitoes Belonging to the Culex Subgenera Melanoconion and Mochlostyrax. Technical Bulletin No. 1091, United States Department of Agriculture. 142 pp. Galindo P, Carpenter SJ, Trapido H. 1951. Ecological observations on forest mosquitoes of an endemic yellow fever area in Panama. American Journal of Tropical Medicine 31: 98-137. Marshall SA. 2006. Insects: Their Natural History and Diversity. Firefly Books Inc., Buffalo, NY. pp. 387. Mattingly PF. 1976. Mosquito eggs XXVIII. Culex subgenera Melanoconion and Mochlostyrax. Mosquito Systematics 8: 19-223-231. Michener CD. 1944. Differentiation of females of certain species of Culex by the cibarial armature. Journal of the New York Entomological Society 52: 263-266. Roth LM. 1943. A key to the Culex (Diptera: Culicidae) of the southeastern United States, by male terminalia. Journal of the Kansas Entomological Society 16: 117-133. Authors: Diana Vork and C. Roxanne Connelly, University of Florida, Entomology and Nematology Department. Graphics: C. Roxanne Connelly, University of Florida, Entomology and Nematology Department. Publication Date: April 2012. Latest Revision: June 2016.